Ron wanted a catch-and-release Northern. He GOT one!!!! 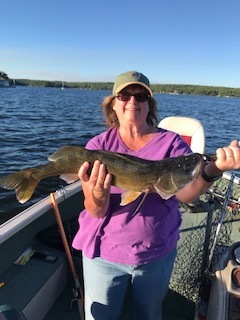 Teresa caught this beautiful walleye - 6 pounds, 25 inches.